Who feels at home scaling a nice, big tree? This word search is a fun way for your little one to familiarize himself with different tree-climbing animals. This tree anatomy worksheet will give your little naturalist a better understanding of the parts that make up a tree. How can you tell how old a tree is? Look no further! This worksheet gives a basic overview of tree rings for your little scientist. Your child can get some practise with basic ruler measurements with this tree measuring worksheet! Understand nature's visual cues for the shifting of the seasons with this tree seasons match-up activity! 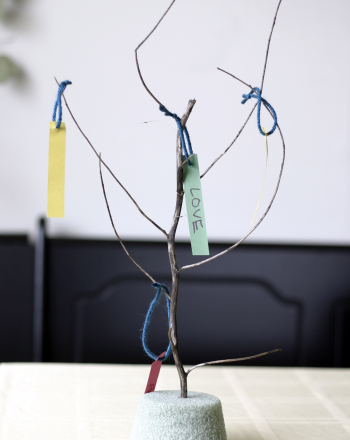 Make a wish upon a tree with this craft that also helps your child learn more about Chinese culture. 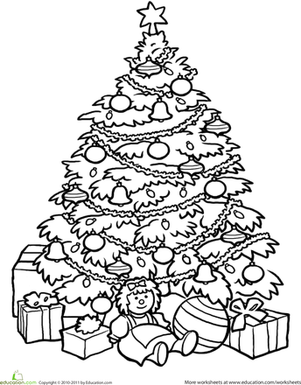 This coloring page features an adorable Christmas tree angel holding candles. This worksheet teaches kids the importance of notetaking while reading using the shape of a well-known object: a tree! Take a look on the inside of a tree with this fill-in-the-blank diagram! What does a Kapok tree look like? Introduce your child to tropical plants from all over the world, like this rainforest tree, with nature coloring pages! Think about all the ways we use trees with this comprehension worksheet that explores Shel Silverstein's The Giving Tree. This tree diagram has been completely mixed up! It's up to your little naturalist to unscramble each word and fill in the blanks.